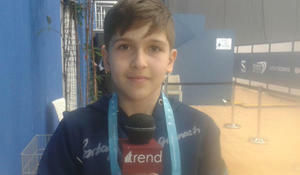 Despite some changes, Azerbaijani trampoline gymnast Riyad Abbasov performed quite well at the European Championships in Trampoline, Double Mini-Trampoline and Tumbling in Baku, Abbasov told Trend April 12. 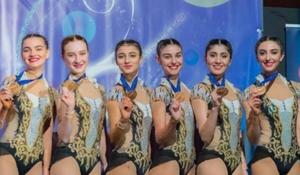 Azerbaijan's Rhythmic Gymnastics team in group exercises has won the bronze medal in the All-Around at the traditional Grand Prix in French Thiais commune. 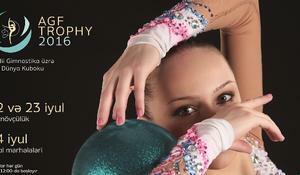 Azerbaijani gymnasts have claimed a clutch of two bronze medals at the 24th Mikhail Voronin Cup in Moscow, Russia. The third day of the Azerbaijan and Baku Trampoline Gymnastics and Tumbling Championships among Age Categories, Rhythmic Gymnastics Baku Championships among Age Categories, as well as the Open Azerbaijan and Baku Aerobic Gymnastics Championships among Age Categories kicked off at the National Gymnastics Arena in Baku Nov. 25. 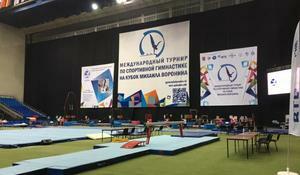 Last weekend, the Trampoline Gymnastics World Championships (October 9-12) completed its work in Sofia, Bulgaria, Azerbaijan Gymnastics Federation said in a message on November 13. Azerbaijani gymnasts supported Qarabagh football club. 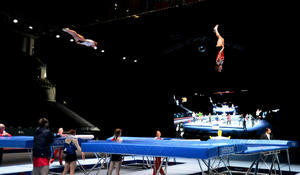 Azerbaijani gymnasts say they were pleased to perform at home, in Baku. The Azerbaijani group team, consisting of Siyana Vasileva, Alexandra Platonova, Diana Doman, Zeyneb Celep and Ayshan Bayramova advanced to the finals in the ribbon exercises at the FIG World Cup Final in Rhythmic Gymnastics in Baku July 22. Azerbaijan is preparing for another grand sporting event distinguished by a dynamic and graceful movements -- FIG World Cup Final in Rhythmic Gymnastics.